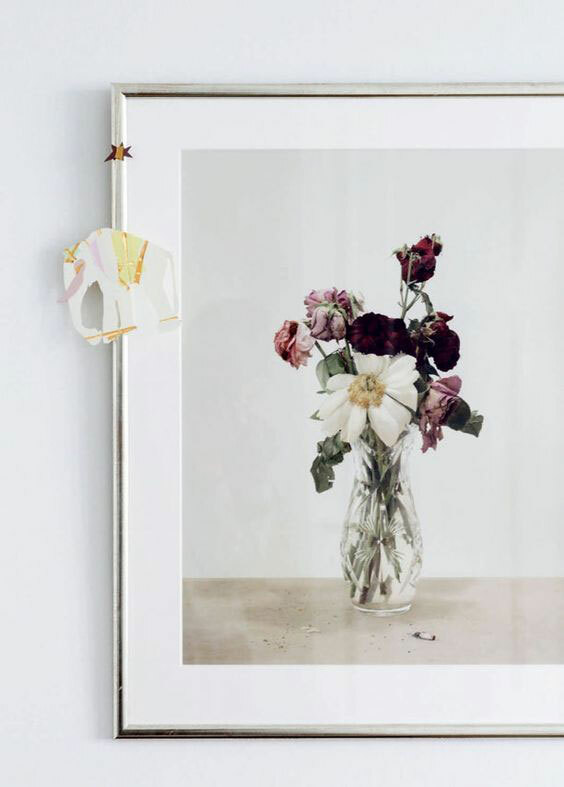 Line Dahy Ernst is known in the blogosphere for her lovely Instagram account. 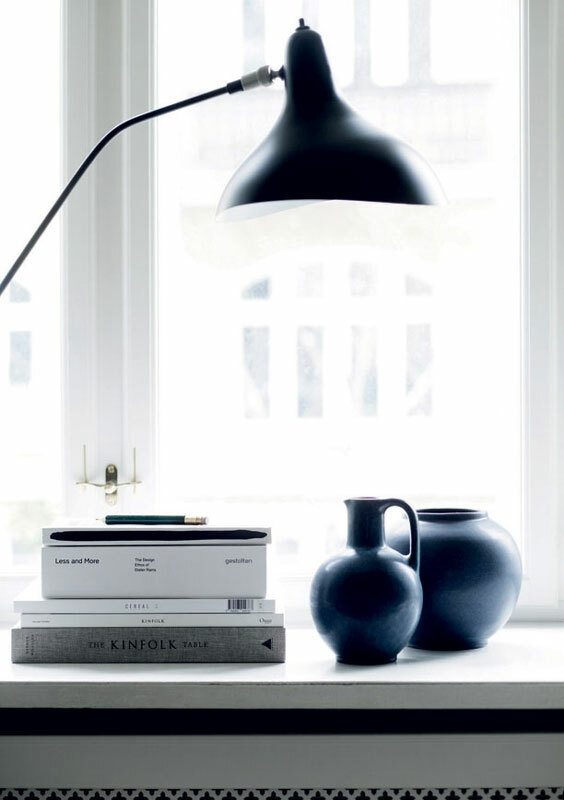 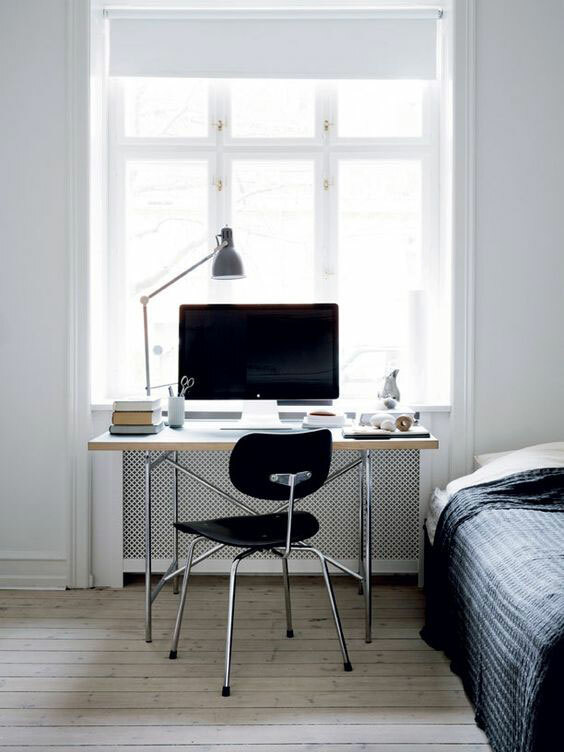 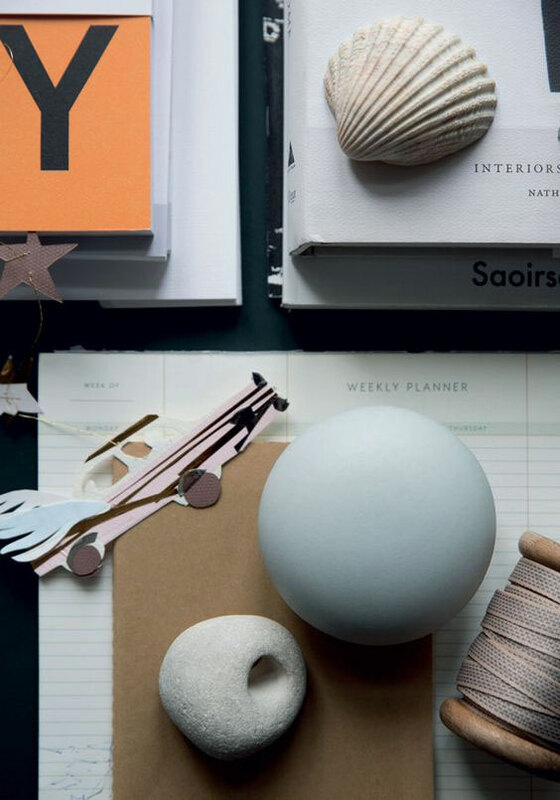 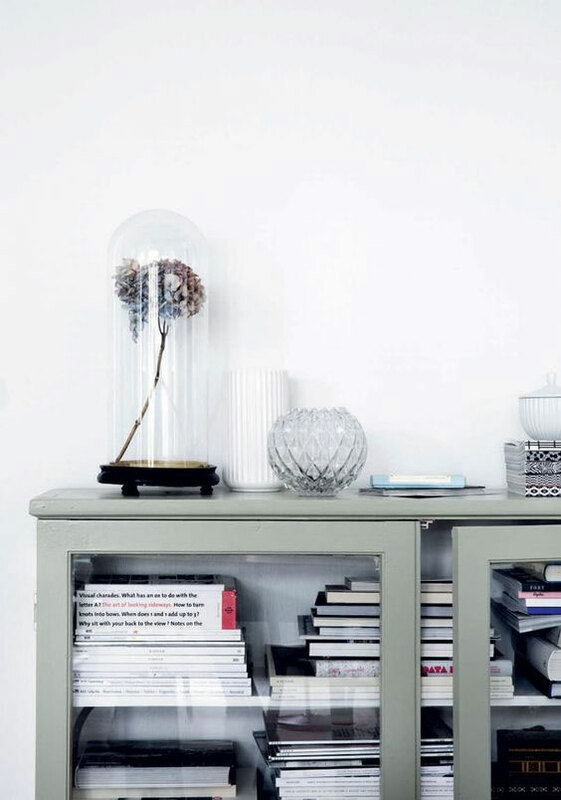 Today, we take a peek inside her luminous home in Copenhagen, beautifully captured by Line Klein. 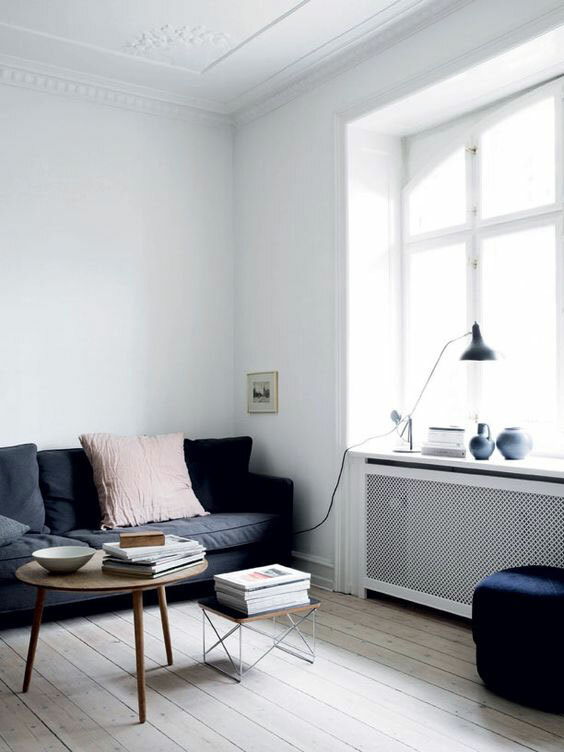 I’m loving the serene vibe, the understated elegance and the numerous personal details. 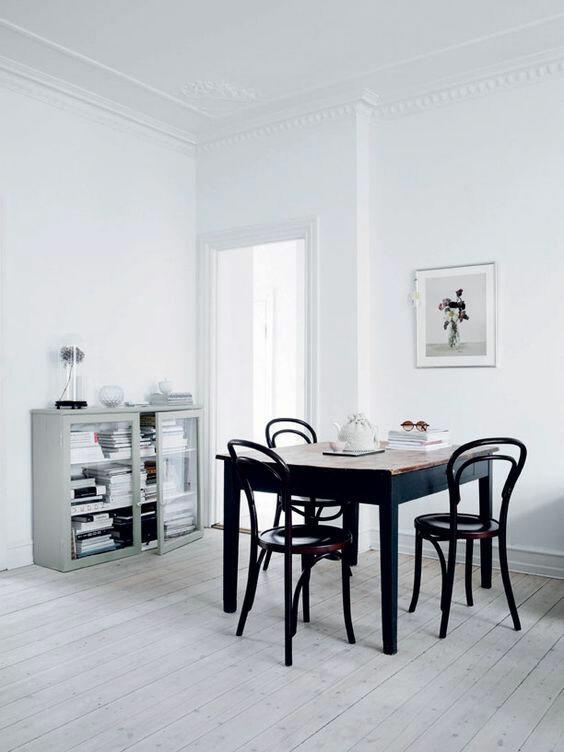 The whole look is timeless! 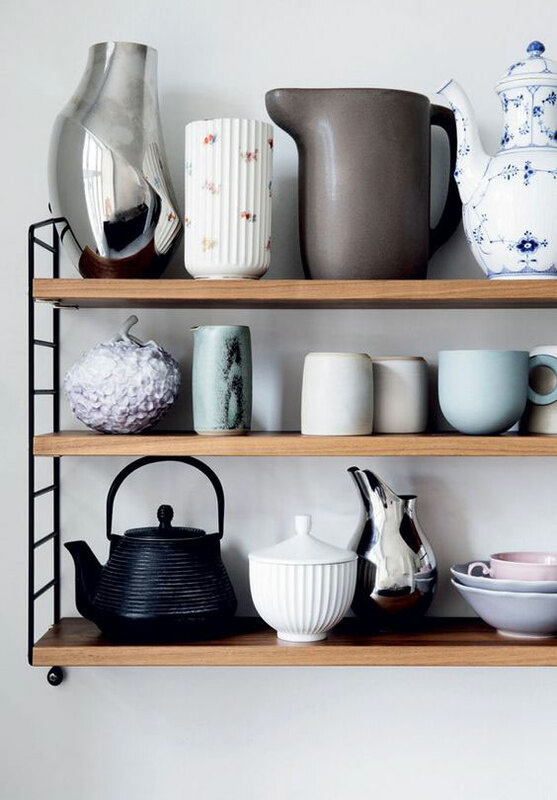 You’ll notice her nice collection of ceramic pots and vases – a mix of Royal Copenhagen, Lyngby Porcelain and Georg Jensen, among others – displayed in a Pocket Shelf System by String. 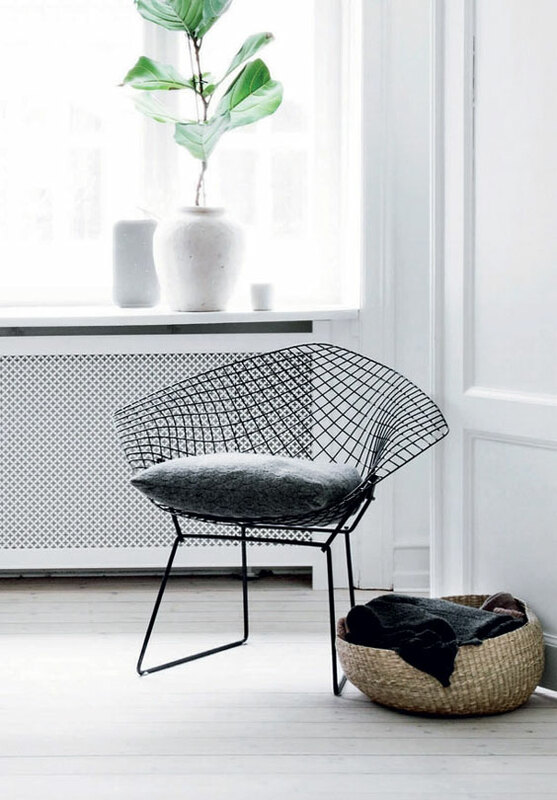 In the living room, you’ll find a Circus Pouf by Normann Copenhagen, a Wire base low table by Eames for Vitra, Diamond chair from Bertoia, a Mantis BS3 table lamp, and textiles from Danish bran Aiayu, where Line works. 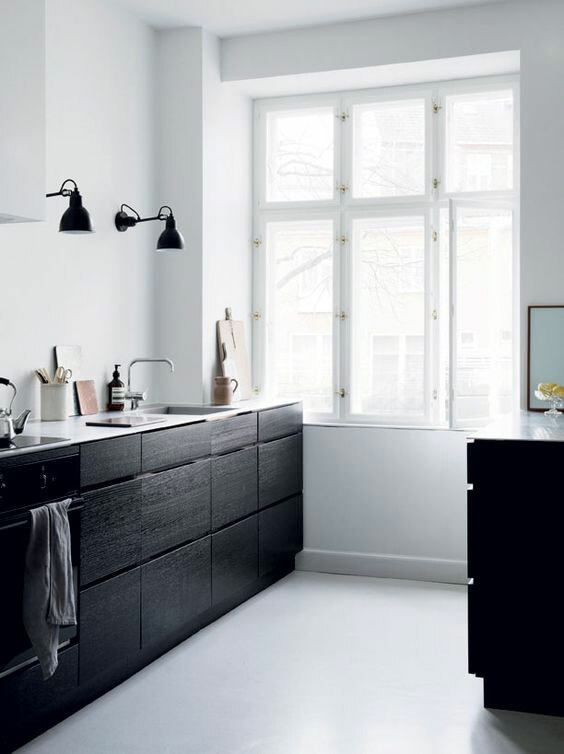 Two lamps by Lampe Gras ornate the wall in the kitchen, and photographic art by Casper Sejersen can be found in the dining room.